Fellowship Reviews: For What It's Worth: Will Ghost Hunters Lawsuit Help Fables? 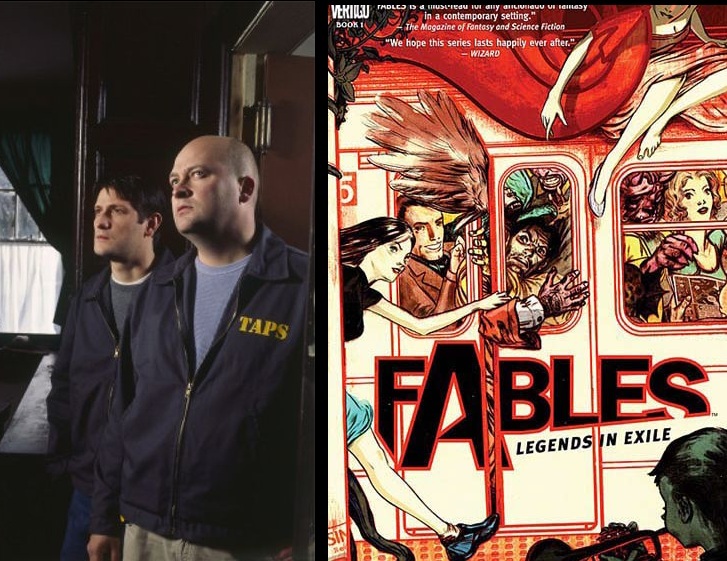 For What It's Worth: Will Ghost Hunters Lawsuit Help Fables? The Hollywood Reporter is reporting that NBC/Universal is appealing a decision regarding a lawsuit brought back in 2006. Parapsychologist Larry Montz and publicist Daena Smoller claim that, between the years 1996 to 2003, they approached NBC with the concept, scripts, and videos for a show based on a team of paranormal investigators going to haunted locations. The show Ghost Hunters appeared October 6, 2004. If I understand this correctly, NBCU was found in breach of implied contract because a screenplay was submitted and accepted for review. Now, how does it apply to Bill Willingham's book Fables? The comic, which the premise is fairy tale characters living among us in the modern world, was shopped around the networks for a possible TV series. No one bought the rights. However, this fall we will have not one - but two TV series with fairy tale connections! First is Grimm, which is a police-procedure show which sounds like a long expansion of the first arc of Fables. Second is Once Upon A Time, where (gasp) fairy tale characters live in the modern world! In this case, they have vague (or no) memories of their magical past. Reading the comments from the creative minds of Adam Horowitz and Edward Kitsis makes me sick. They claim that they have read "an issue or two," but their show is different. BS! They say they got the idea back in 2004, two years into Fables run on DC/Vertigo. They are quick to point out that there was a Red Riding Hood movie out and Snow White and the Huntsman in production. I'll be quick to point out that they aren't set in modern times in a modern city. Look, these shows may be good. I won't give them the chance. Not when the real deal is still out there to be given a chance.